Yesterday several of the region’s FLL referees met with Joe Varnell (North Texas Head Referee) to review the rules and common situations encountered this year’s game. We also reviewed some of the questions and topics that have arisen during the many scrimmages. Here’s a summary of some of the more common ones, so that you can be aware of them prior to arriving at competition. This is just a summary recap — please carefully read the mission descriptions, rules, and game updates for full details. Rule D08 – Models: Teams are not allowed to attach models to other objects, including other models. For example, in scrimmages (and some YouTube videos) we’ve seen teams try to attach the Chicken to the studs on the top of the Octopus, in violation of rule D08. Any models that violate D08 will not be counted as scoring. M08 – Composting: Some of the composter models seem to be a little finicky, even when apparently built correctly. We’ve seen cases where a robot triggers the model properly but the model fails to release the compost for no obvious reason. While referees and field reset personnel will do their very best to keep the composters working, we know that sometimes things still don’t work out. If a composter fails when it’s clear that it should’ve worked, referees will try to manually release the Compost (or provide an alternate) in a timely manner if that’s possible. If it turns out to not be possible, referees will apply GP3 (“Benefit of the Doubt”) to decide how missions related to the Compost should be scored. However, there are some common situations where leniency won’t be granted. For example, if the Robot hits the composter hard enough to cause its “green lid” to fall backwards into the pendulum mechanism, then any failure to release the Compost is considered normal and the referee will not attempt to reposition the lid, restart the pendulum, or manually eject the Compost. The same goes for other strategies where a Robot activates the composter in a rough or uncontrolled manner. R13 Interrupting: Penalties for touching / interrupting a robot outside of Base are applied the next time the robot is Launched out of Base (rule R13). Historically such penalties have often been called “touch penalties”, but it’s not the touching of the robot that incurs the penalty — it’s the returning to Base for re-launch that is penalized. Thus a team that stops or interrupts a Robot and leaves it place (or doesn’t re-launch the robot from Base) doesn’t receive a penalty for that final interruption. So, if the Robot leaves a Model or a piece of equipment completely outside of Safety, it’s considered “Stranded” (R14) and remains there until the end of the Match or the Robot moves it (R12 bullets 4 and 5). Each piece of equipment (mission models are never “equipment”) still outside of Safety at the end of the match incurs a Junk Penalty (D09 bullet 2). Anything that is completely in Safety the team gets to pick up and keep. Equipment that is stranded partly in Safety is taken completely into Safety (the team keeps it) and immediately incurs a Junk Penalty (R14 and D09). Again, mission models are never considered “equipment” or “junk”. BARS of any color that are partly in Safety are immediately taken completely into Safety, and normal rules and scoring then apply for them being in Safety (Robot Game Update #6). All other models that are stranded partly in Safety are immediately picked up by the referee and taken out of play (R14). This generally means that these models can no longer be used to score missions. The end result of this is that nothing is allowed to rest partly in Safety, other than the Robot itself and the things it is transporting. I hope this is useful to teams, and we all look forward to seeing your robots at competitions! REGISTRATION FOR QUALIFIERS IS NOW OPEN! **REGISTRATION FOR QUALIFIERS WILL CLOSE ON WEDNESDAY, NOVEMBER 18 AT 5:00PM. If you are paying by credit card, you must go ONLY to this website: http://tickets.perotmuseum.org/auxiliary/Reserve.aspx?p=13333. Every box must be filled out in order for your registration to be complete–you MUST pick FOUR choices or you will not be able to register. You must follow all of the steps, including creating an account, in order to register. Please do not try to register in any other website (TIMS, etc). Please try to pay by credit card! That will vastly expedite the process! After the reservations department receives your email, they will send you an invoice. If your district or someone else is paying via purchase order, make sure to send them the invoice as soon as you receive it, and remind them that the payment is needed as soon as possible in order to compete. Full payments must be received no later than two weeks prior to your qualifier or you will be disqualified. Even if we have already sent you an invoice, that does not count as your registration-you still need to email reservations with the above information. If you have very special circumstances, such as needing multiple teams to go the site, or multiple teams that need to be split up, etc., please do not include that in your email to reservations. Just include your top four choices, and in a separate email to me you can explain your special circumstance to me and I’ll see what I can do to accommodate. If you can be flexible in your dates and location choices, please show some nice Core Values and Gracious Professionalism and be flexible! A lot of teams have genuine difficulty securing transportation, funding, parental involvement, etc., so it makes it harder for them to be flexible. There are many factors I have to consider in assigning teams to qualifiers, so I appreciate everyone’s patience and not expecting to get your first choice-all qualifier assignments will be final! There are more competitions on Dec. 5th than any other day! If you can do the 5th, please do! Don’t look at it as a disadvantage to compete early-you’ll be competing with other teams who have had the exact same amount of time to prepare as your team has, so everyone at your qualifier has the same chance of advancing. Every coach I talk to says they don’t feel ready, they feel behind, etc. So you’re not alone! Remember that the competition aspect is just small part of the awesome FIRST experience-qualifiers are super-fun, exciting events even if your team doesn’t score a lot of points or do amazing in every judging session! There is only one qualifier on the 19th, with very limited space, so if a ton of teams choose that as their first choice so that they “have more time,” a lot of them will not get it. Very top teams in all categories for each qualifier will advance straight to the Regional Championship on February 6. Top teams in all categories for each qualifier will advance to one of two second-round qualifiers in January, and from there top teams will advance to Regional Championship. The exact numbers advancing from each one will follow the advancement percentages set forth by FIRST and will be determined once I have made all of the assignments and know how many teams will be at each qualifier so we know proportionally how many to advance from each. Once you have been assigned to a qualifier, I will notify you and you will be put in contact with the qualifier host. They will provide you with specific information such as lunch options, the general schedule for the day, and the detailed team schedule. I think this is all for now, please let me know if you have any questions, and good luck! In 2013 the Republic of Pi came up with a portable FLL table that is relatively lightweight, sturdy, and can be disassembled for transportation to other sites (e.g., for demonstrations). The video below shows the table we created. We hope to be publishing plans for building a table like this one soon — stay tuned. 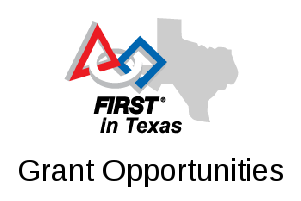 On this page we keep links and references to various North Texas FIRST LEGO League competition resources, to make them easy for us and others to locate quickly later. Where possible we try to link directly to official pages and notifications; but we’re definitely not the official source for any of this. If in doubt — double check the official sources! Join the NorthTexasFLL Google Group to network with other coaches and mentors! Here is a resource list for teams starting out with FIRST LEGO League. Join the NorthTexasFLL Google Group. 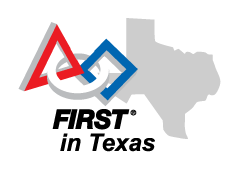 This is a mailing list for coaches and organizers of FLL events in North Texas; people are encouraged to ask questions here. Attend a kickoff event and the coaches clinics offered throughout the season. You’ll learn lots of useful tips from veteran coaches who are eager to help you get started! A good early team activity is to build the mission models for this season’s game. This can help the team get used to working together, and they can study the mechanisms used to make the models work. You and your team definitely want to study the Challenge document to understand the competition rules and requirements. If you have any questions, ask them at a clinic or ask on the NorthTexasFLL group. If your team is at a loss for getting started with building a robot, the “Educator Vehicle with attachments” is a reasonable place to start and get some ideas. If you hsve an NXT set instead of EV3, Jay Jordan recommends the 3-motor chassis from nxtprograms.com . Once you have a robot, see if the team can get it to solve a couple of (easy) missions. There are almost always one or two missions that involve pushing something very close to Base. Begin brainstorming Project topics and identifying resources and experts. Be sure to keep track of your research and contacts!